Get your mortgage at… Walmart? It’s a partnership that could be bad for business for many mortgage brokers, but for a handful of agents it’s the difference between chasing clients and having them line-up outside your door. One brokerage has firmly implanted itself in eight Walmarts throughout the GTA. The company, originally formed by Arnold Molder in 1977 and now co-owned with his son Christopher, still maintains its head office on the Danforth and has plans to open another two Walmart locations in the fall. If that seems like an unlikely partnership, consider this: Walmart employs more than 2.2 million people, including almost 91,500 in its 395 Canadian stores. 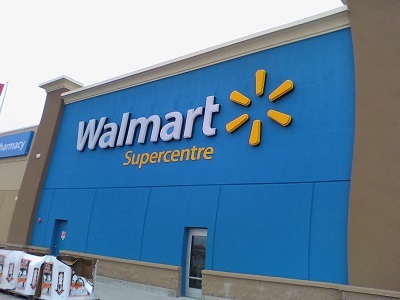 The storefronts are located inside the Walmart building, but operate outside of the retail giant – much like McDonald’s and Wine Rack, which also benefit from being inside the actual buildings. That partnership has certainly been doing well for the agents, providing them with boon in business. The brokerage has also attracted a wide array of clients, which he attributes to the Molders’ culture of ethics. Similar to the old K Mart relationship CIBC had years ago. Lots of work but not much return. Hope this one works better. Great job Arnold. At minimum you now have access to 90,000 employees.